So we are entering storm season here in the northern hemisphere. If you suspect a switch is damaged from a storm here is a simple yet effective way to bench test your Netonix WISP Switch. 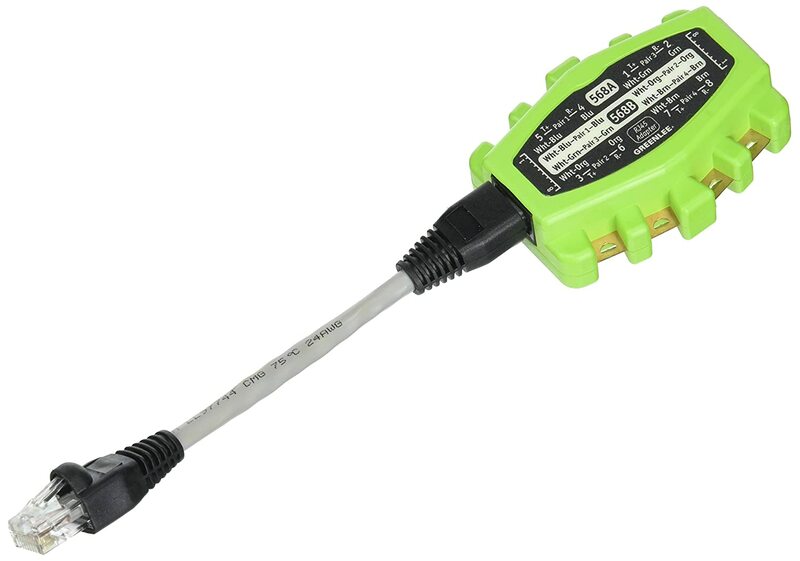 If you have a voltmeter laying around and want to do a little more advanced test to show if current sensors are damaged from a shorted cable, applying the wrong POE option, or most commonly ground current there is a section at the end of this post called ADVANCED TEST. Power up on bench and factory default your switch. 1) Factory default and then upgrade the switch to the latest firmware. If already upgraded to the latest firmware simply upgrade it to the same version again to verify the flash is working properly. 2) Do a cable diagnostics on every port with a 12’ patch cable plugged in with no device on the end of the patch cable. You should get 4 meters on length and OPEN on all 4 pairs. 3) Use a short patch cable and cut one end off and strip the blue wire and brown wire. Tape the Blue wire to the red (positive) lead of a volt meter and the brown wire to the black (negative) lead of a volt meter and make sure no other wires can touch each other and short and the leads can not touch each other. Plug the jumper in each port to make sure no port is putting out 24V or 48V POE power as no port should be configured for POE at this point. NOTE: You will see 1.4V to 1.7V on the port but this is normal, it is simply from the current sensors and of no real amperage as it is a floating voltage. The 1.4V to 1.7V means the current sensor is most likely working properly for that port. WARNING: Any port showing 24V or 48V means a MOSFET circuit is damaged and will always put out that voltage. 4) Turn 24V POE on all ports and check each port for 24V with volt meter. 5) Use a 24V POE device such as a Rocket and check each port current readings on the status tab to make sure the watts being reported look correct. 6) Turn 48V POE on all ports and check each port for 48V with volt meter. WARNING: DO NOT USE THE ROCKET FOR 48V AS YOU WILL FRY IT AND THE SWITCH PORT, WE ALREADY KNOW THE CURRENT SENSORS ARE WORKING AT THIS POINT. 5) Check each port for 1G connection to a non-POE device such as a laptop. FOr a more accurate test use a 100 meter cable if you have one lying around as an Ethernet Transformer can be damaged / degraded where it will achieve a 1G link on a short cable but not a long cable. However if it reported the proper length on your patch cable above chances are it is fine. 7) Check the device status Tab to make sure all the telemetry on this page looks correct. 8) Let the switch set awhile until the board temp goes over 40C and the fan kicks on and reports RPM on the Device/Status Tab. You may need to cover the switch with a towel to get it to warm up enough to kick the fan on. A good tech always has a serial console cable in his bag and has tested the cable and software to work before an emergency requires it. Set the switch on bench and create a 1G Ethernet link on each port. You can use a POE device or a non POE device, makes no difference. If you want to make sure the ports capable of 24VH and 48VH are also working properly then perform the same tests 4 & 6 listed above but now use the orange wire to the RED lead (positive) and the green wire to the BLACK lead (negative) of volt meter once again making sure no other wires can touch each other and the leads can not touch each other. So if you based all the above tests chances are your switch is fine. Building this test rig will allow you to test ports in a WISP switch to see if the current sensors and or MOSFET circuits are damaged and if so then most likely the Ethernet Transformer is also damaged as well. You will need 1 or preferrably 2 Voltmeters, a patch cable, and a roll of black electrical tape. 1) Cut one end off of the patch cable and strip bare each wire about 1" exposing the copper. 2) Twist each pair together such as Blue with White/Blue and Brown with White/Brown and so on, so all 4 pair are twisted together like this. 3) Take the Blue with White Blue pair and wrap the bare copper wire around the red/positive leads metal probe of the 1st Voltmeter then press the voltmeter red probe into the side of a roll of black electrical tape roll firmly trapping the wire between the prope and tape roll. 4) Take the Brown with White Brown pair and wrap the bare copper wire around the black/negative leads metal probe of the 1st Voltmeter then press the voltmeter black probe into the side of a roll of black electrical tape roll firmly trapping the wire between the prope and tape roll. 5) Take the Orange with White Orange pair and wrap the bare copper wire around the red/positive leads metal probe of the 2nd Voltmeter then press the voltmeter red probe into the side of a roll of black electrical tape roll firmly trapping the wire between the prope and tape roll. 6) Take the Brown with White Brown pair and wrap the bare copper wire around the black/negative leads metal probe of the 2nd Voltmeter then press the voltmeter black probe into the side of a roll of black electrical tape roll firmly trapping the wire between the prope and tape roll. Now this will not work completely with the WS-8-150-AC as that model does not have current sensors on each port. All it will do for testing the WS-8-150-AC is test if the MOSFET circuits are damage in the ON position. So with the WS-8-150-AC you should see 0V on all ports. NOTE: If you have a console cable connected and you should and the switch does not boot ot attempt to boot this means the SOC was damaged as well and the switchboard is fried and not repairable but you can proceed with this test to see which ports the current came in on. Plug the jumper into each port 1 at a time noting the voltage displayed on both Voltmeters. If the port being tested supports a VH POE option then you should see 1.2V to 1.8V on both Voltmeters as VH capable ports can supply POE on all 4 pair if configured to do so and each POE pair has its own MOSFET and current sensors. If the port only support 24V and or 48V but not a VH POE option then you will see 1.2V to 1.8V on Voltmeter #1 on pairs 3 & 4. The voltage your seeing is simply a floating voltage with no real amperage to speak of but it lets you know the current sensor is there and is probably working properly. The fact that you do not see 24V or 48V on either Voltmeter tells you the MOSFET circuit is in the OFF position. This does not mean the MOSFET circuit is not damaged but most times when a MOSFET circuit gets fried it gets fried in the ON position which will put 24V or 48V on the pair. If you see 24V or 48V on either meter that means the MOSFET circuit is blown in an ON position, remember the switch is defaulted and or if dead MOSFETs for POE should be in the OFF position. Also if the MOSFET circuit is blown the current sensor probably is also blown for this port as well as the coils in the Ethernet Transformer. See picture below of fried Ethernet Transformers and Current Sensors. This type of damage is NOT covered under warranty. If you did not short a cable or apply the wrong POE option or try to power a non compatible device this damage is caused from GROUND CURRENT and you need to improve your grounding. Tower ground rods must be bonded to electrical service ground rods HEAVY #2 wire. I always add 1 or 2 “new” ground rods to older existing electrical services. “A ground loop is a current through a conductor between two two grounded points” as in two buildings connected by an RS-232/RS-485 data line. The potentials are different and if the voltage is great enough … a current flows down the signal ground of the data cable … and your serial port is damaged. When two devices carry a difference in ground potential, the potential will try to even itself out … in much the same way as water seeks its own level. It will travel through the the lines and connectors and overload the circuitry of both the high-potential and low-potential device. ** A lightning strike or electrical spike … is a sudden event causing damage … smoking chip/traces. *** A ground loop is more insidious … and is a long term steady event that weakens the chip … and slow cooks the chips and they eventual fail … blackened tops and melted circuit boards. Note: A surge protector does NOT guard against ground loops. The best prevention for ground-loop problems is to use optical isolation on long data lines. as some additional information, since I've been asked 'well, why is power still on if it's turned off in software?" An enhancement mode metal oxide substrate field effect transistor (MOSFET) is a microelectronic device which we use for power switching in our passive POE network switches. It has 3 functional terminals, Gate, Source, and Drain. The source and drain are similarly doped and in fact are connected to the same semiconducting portion of the device, usually germanium oxide doped silicon, while the gate occupies a small 'nub' in the middle of the device. In normal operation, a voltage applied on the Gate terminal creates a depletion zone in the reverse-doped portion of the device, which allows electrical conduction to occur across the Source and Drain terminals, which would otherwise be a high-resistance electrical connection, not allowing any appreciable current through. The consequences of a substantial overcurrent(such as that caused by ground current) along the source-drain channel of the component are that electrons break free of the conduction zone, which fractures the silicon's crystalline structure (allows the magic smoke to escape); Once this occurs, Silicon (an extremely poor conductor) is electrochemically converted into elemental carbon (a moderately good conductor used in resistors worldwide)- this allows free current flow across the body of the device. Removal of a voltage applied on the gate region of the device will have no measurable effect on the electrical characteristics between source and drain. The long and the short of it is, once the MOSFET has been subjected to an overcurrent condition, it is a carbon-film resistor, and will allow current to pass freely to connected devices. There are polyfuses in place to prevent a fire, but no amount of software can put the magic smoke back into the MOSFET, once ground current pops it. Which is why it is so important to perform the above tests on questionable switches. Famous Last Words: "-should- work.. ish"
BTW, I strongly urge every tech to have a banjo in their toolbag. Aside from being the only way to easily measure voltage under load, it is also a safe way to not short out test leads. I updated the Bench test post at the top of this thread with a new way of testing your switch for damage if you want to build a simple Test Rig. We installed a couple of WS-12-250-AC-VER2 for a customer a few years ago. He was retiring and closing his business so he let us "haul them away" for him. Ports 1 & 2 were not POE powered (we like to reserve the VH ports) I set them to factory default and uploaded new firmware successfully from Port1. Did the 160W hardware mod. But when I plugged it in to test, I just mindlessly picked Port2 ... ARG ... no connect light. U100 is marked BC7A7, can't find any info on that. But it's not the MOSFET or current monitor chips. Could you say what that chip is? Is it just a zener-like surge suppressor? If I carefully remove it from the board, is it possible it will work as a simple non-POE port? We made sure we followed Netonix best practices when cabling and this network was entirely indoor, mostly feeding WiFi APs. Also pretty sure Port2 had no cable running into it nor any assigned name in the config. Its an ESD protection DIODE, if that is blown as shown the Ethernet Transformer is as well. Also probable PHY damage in SOC which can not be repaired but can not tell unless you remove transformer and protection DIODE then do a cable diagnostics. If you get all OPEN then maybe PHY is OK. If this is an OLD switch I would also do the ground MOD. This type of damage is almost always ground current, can be ESD, Static, or even a shorted cable that when the transformer melts the coils providing the magnetic coupling create an electrical contact then send current into the DIODE which blows it then on into the SOC. I work in the Electronics Repair Center in Turkey. Netonix is not quite known here, it is used extensively between wisps. but I have trouble with spare parts. Ethernet transformer and other requirements where to buy? sirhc wrote: Its an ESD protection DIODE, if that is blown as shown the Ethernet Transformer is as well. Thank you Chris for the detailed explanation! It pointed me in the right direction. Maybe I will offer parts on our Replacement Parts section of our web store? Your thoughts, any others you can think of as common parts that you might not be able to source? @sirhc thank you for your support.I will create the necessary materials and I will send you the list.